At the turn of the 20th century, a new artistic style contributed significantly to the appearance of a number of European cities. In Ljubljana, it developed under the influence of the Viennese Secession and found expression mainly in architecture. 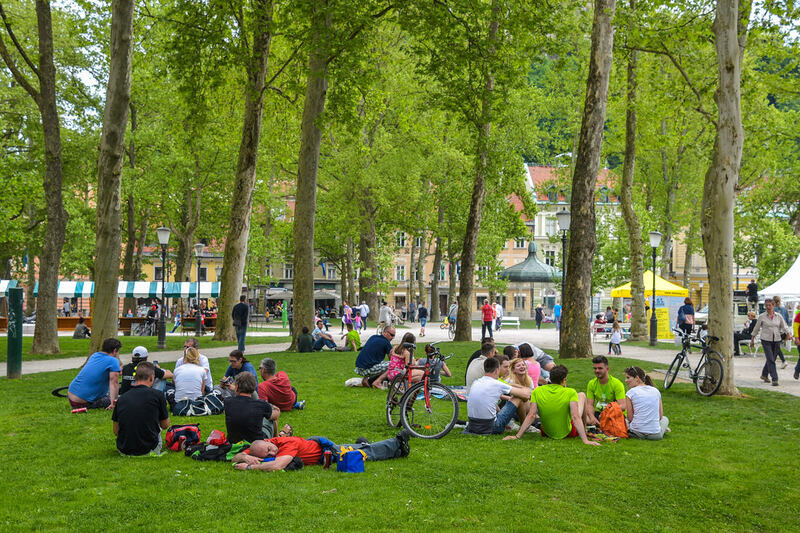 Prešeren Square (walking distance from Urban hotel 5 minutes): developed from a road junction in front of one of the city gates leading to medieval Ljubljana. Next to the junction, a Franciscan church of the Annunciation was built in the 17th century, but the junction was turned into a square and paved only after the city walls were pulled down in the middle of the 19th century. 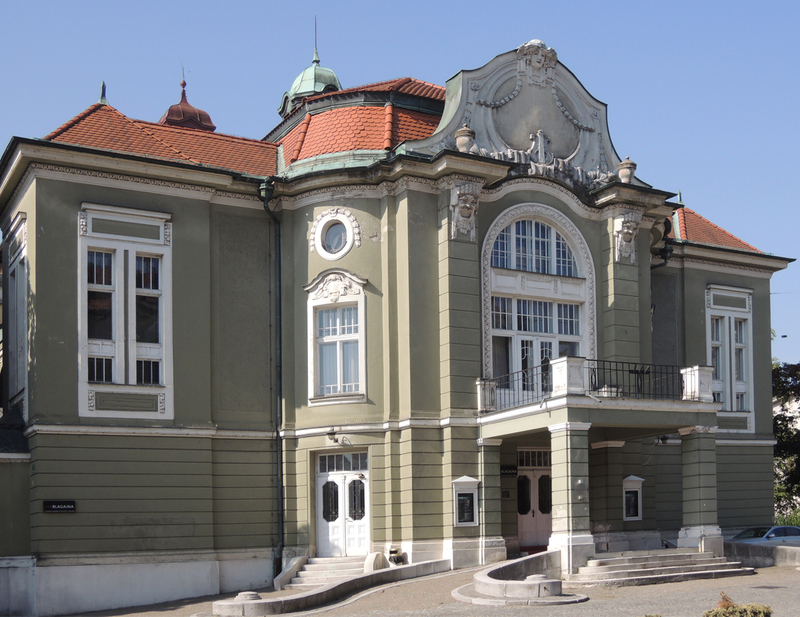 Slovenian National Drama Theatre (walking distance from Urban hotel 7 minutes): it is Slovenia’s main dramatic theatre. 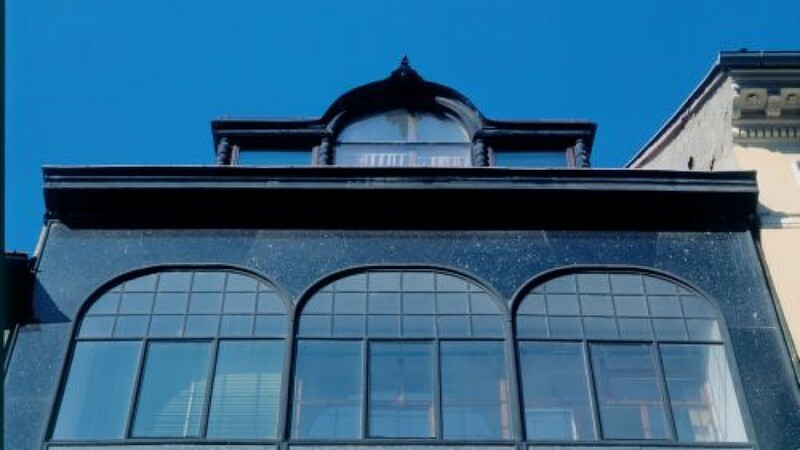 Its repertoire includes both classic plays and contemporary and experimental works for the stage. 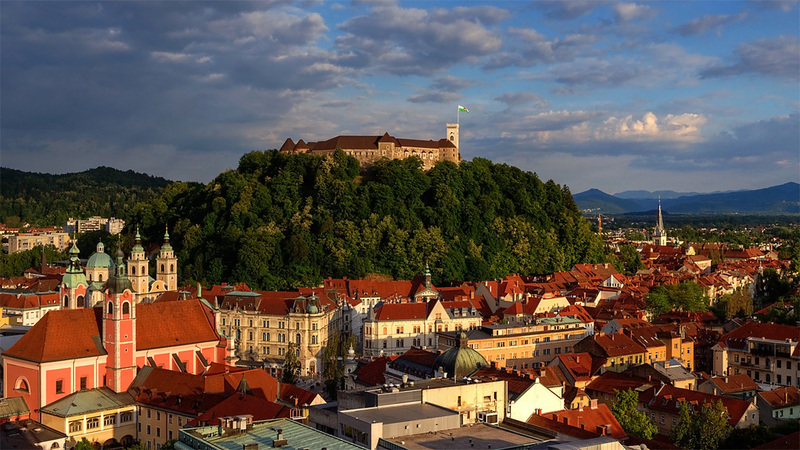 It regularly produces interesting new works by Slovenian and European playwrights. 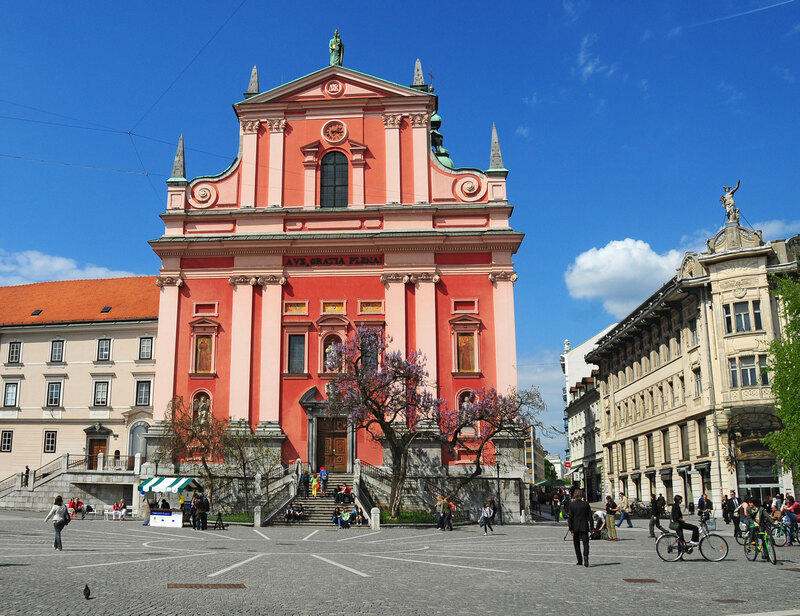 Vurnik House (walking distance from Urban hotel 5 minutes): located in the Miklošičeva ulica street, is one of Ljubljana’s most famous buildings. 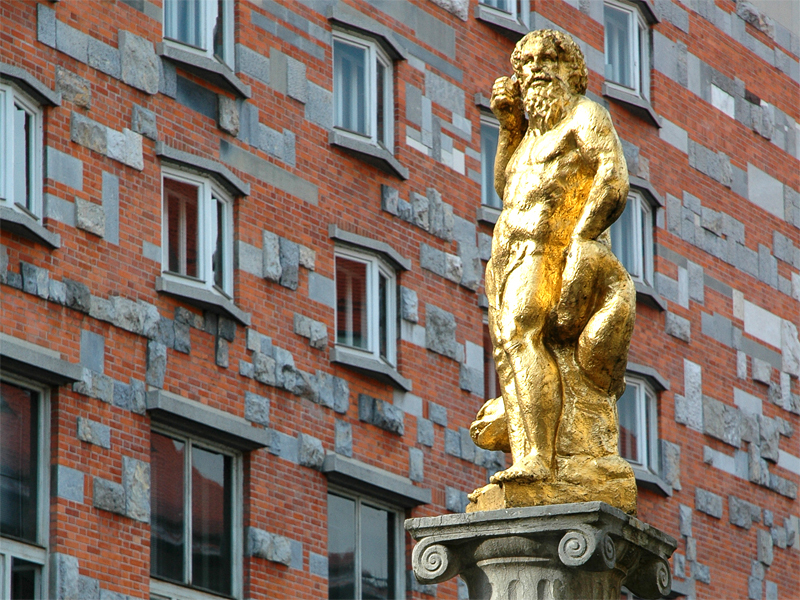 Despite being situated in a brightly coloured Art Nouveau quarter, its richly decorated fasade makes it stand out from the surrounding buildings. 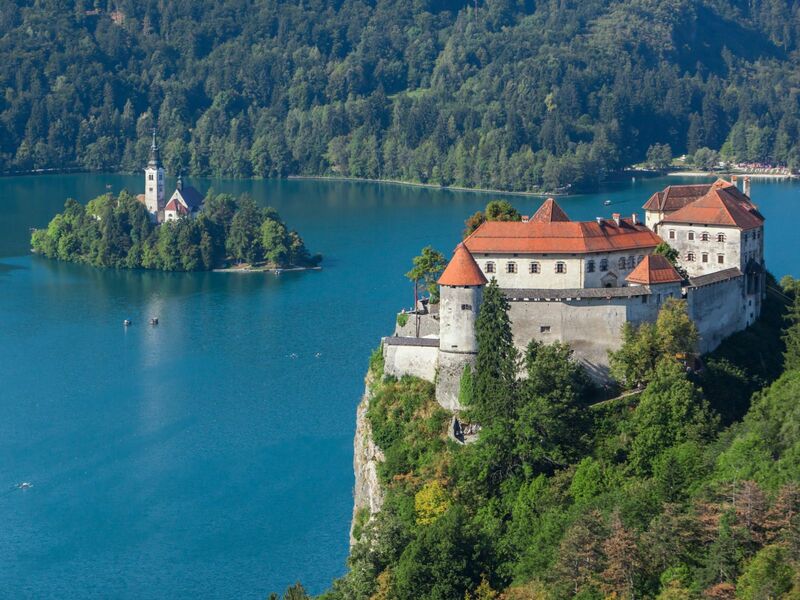 Built in 1921 to a design by the architect Ivan Vurnik, it is considered to be one of the finest examples of Slovenian national style architecture. 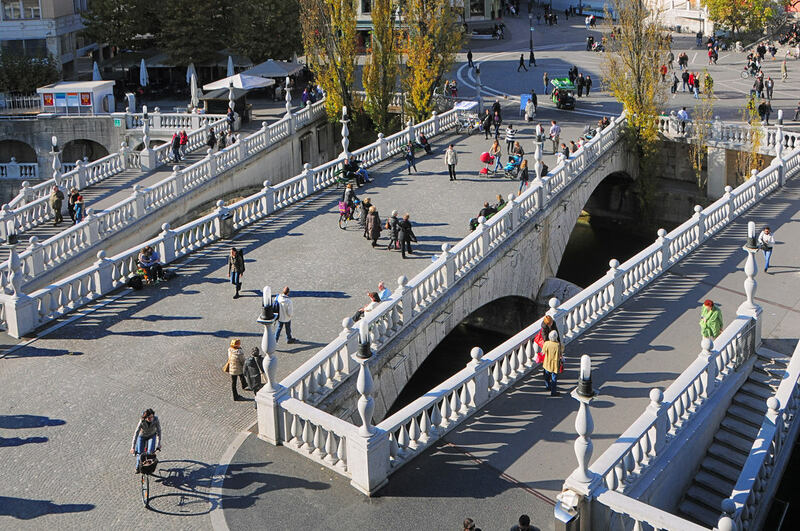 Dragon Bridge (walking distance from Urban hotel 10 minutes): adorned with famous dragon statues, appears in the most recognizable images of Ljubljana. 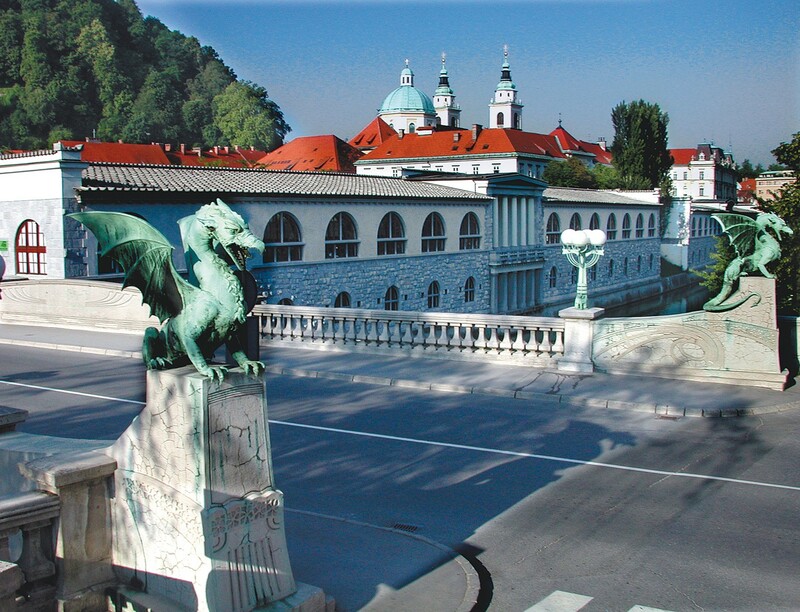 If you haven’t been photographed next to a Dragon Bridge dragon, you can hardly claim that you have visited Ljubljana. The four dragon statues, which look slightly terrifying and almost real, are a masterpiece which has been exciting imagination since the bridge was built. 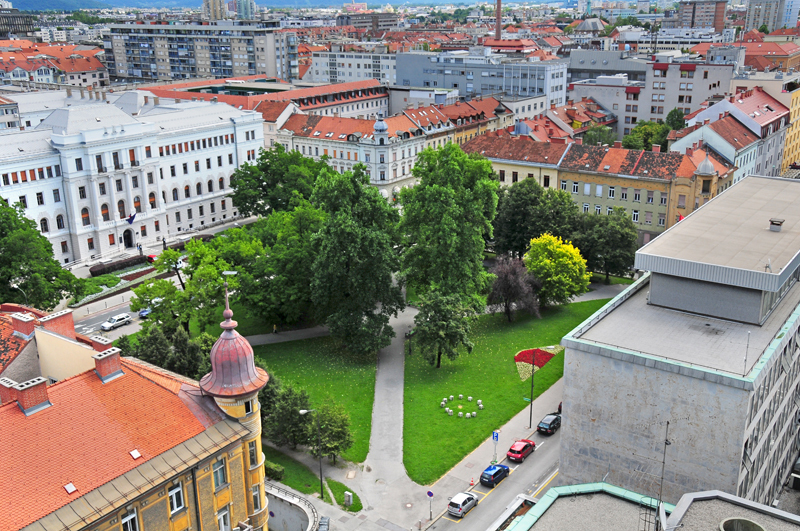 Miklošičev park (walking distance from Urban hotel 5 minutes): after the earthquake of 1895, the Municipality of Ljubljana with support from the government in Vienna commissioned the architect Maks Fabiani to prepare designs for the rebuilding of the Slovenski trg square. The designs, completed in 1900, envisaged a uniform architectural style with buildings of equal height arranged around a park and enhanced with corner turrets. 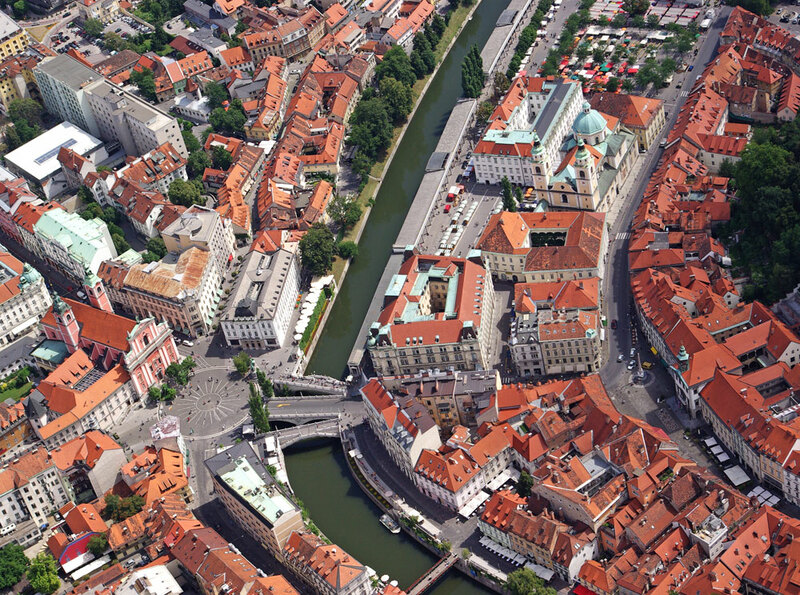 The designs were in agreement with the wishes of the then mayor of Ljubljana, Ivan Hribar, who wanted the city to be rebuilt on the model of Prague.